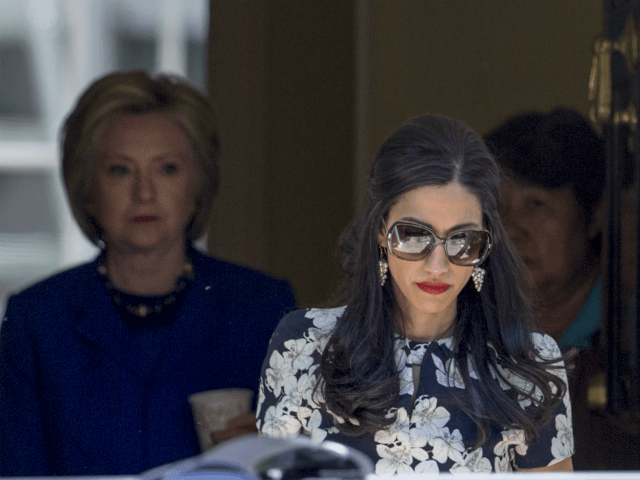 Abedin sent numerous emails to her private email on Anthony Weiner’s laptop that had to do with the Palestinian Authority, our ambassadors and national security issues. I just don’t get how she is not currently behind bars like her hubby is. Billions of Yahoo! accounts were hacked by a Russian FSB agent. The entire Yahoo! system was compromised and over 3 billion users were impacted. Abedin was one of them. Although they claim it is not certain her email was hacked, I have personally spoken with a couple of people who would know and they claim it definitely was. I guess we’ll see. The former Navy sailor that Trump refers to is Kristian Saucie. He was imprisoned for taking pictures of his work space on board a nuclear powered submarine and then sending them to his wife, I believe. They were selfies of a highly classified area. For that, he was sent away. If that got Saucie prison time, why the hell shouldn’t Clinton, Abedin and Comey all do time for far worse breaches of national security? Justice is not blind here and certainly not fair when it comes to Clinton and her cronies. Trump started raising questions about the “Deep State” in the Justice Department back in November. Trump went on, “Charles McCullough, the respected fmr Intel Comm Inspector General, said public was misled on Crooked Hillary Emails. “Emails endangered National Security.” Why aren’t our deep State authorities looking at this? Rigged & corrupt? @TuckerCarlson @seanhannity.” In yet another tweet, Trump took aim at the FBI withholding documents about having Trump and his campaign team under surveillance during the election, “Big stuff. Deep State. Give this information NOW!” he wrote. President Trump has been very busy on Twitter today with so many things happening and transpiring. He’s right… Hillary Clinton, Huma Abedin and James Comey must be prosecuted. Paging Jeff Sessions for the millionth time on all this. Do your job and take these crooks down once and for all.